Attack 1 : too epic dude is me!!!! any damage done to this Pokemon does 0. If any Pokemon has invinclbe power can now do damage. 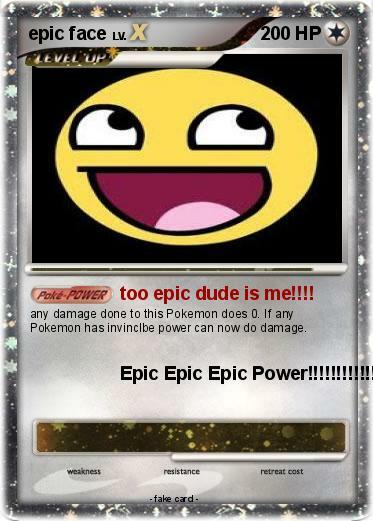 Attack 2 : Epic Epic Epic Power!!!!!!!!!!!!! !